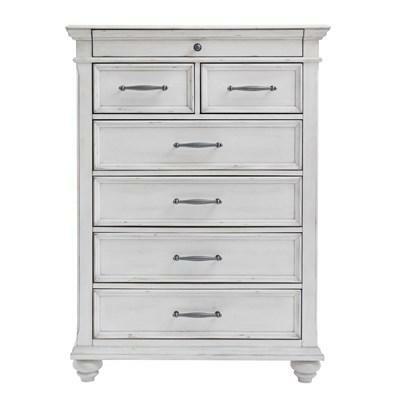 The Foxvale chest features a beautiful replicated carrera marble top, a grey finish with an authentic touch oak grain and an asymmetrical design. 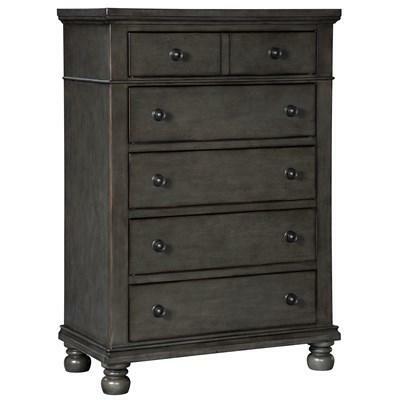 The drawers have chrome hardware and a replicated linen interior. 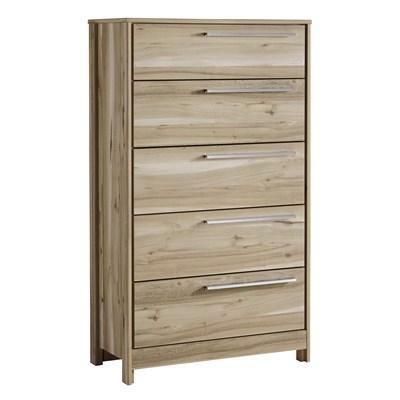 The Kianni lingerie chest features a soft beige finish over a replicated elm grain with an authentic touch. 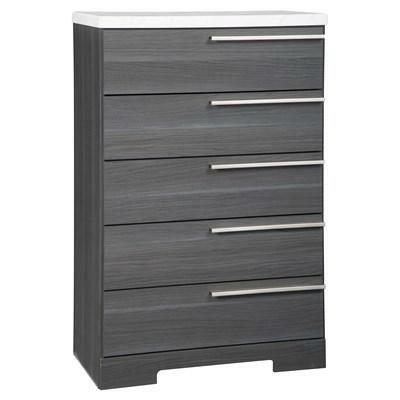 This piece has recessed side panels for a contemporary look and large chrome finished handles. 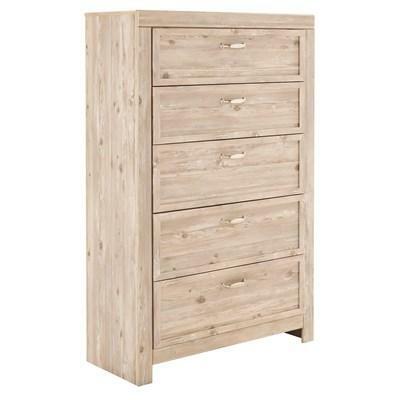 The Kianni chest features a soft beige finish over a replicated elm grain with an authentic touch. 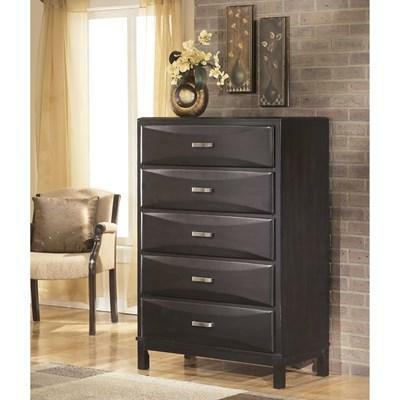 This piece has recessed side panels for a contemporary look and large chrome finished handles. 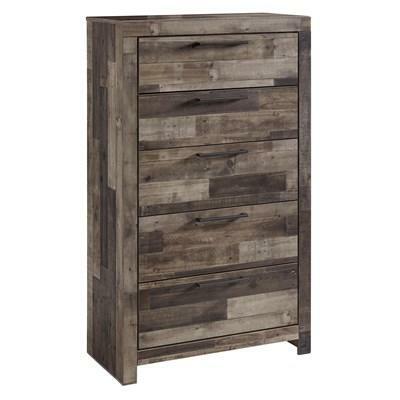 A casual take on a vintage trend, the Willabry chest of drawers carries farmhouse charm and soft rustic appeal. 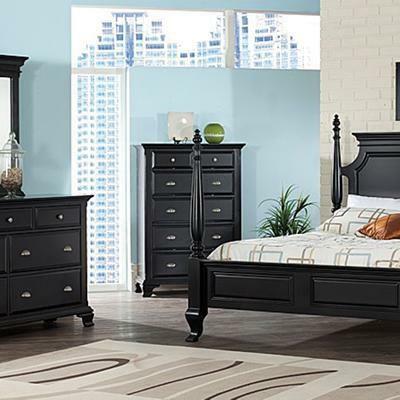 Light, natural finish defines your comfortable bedroom suite. 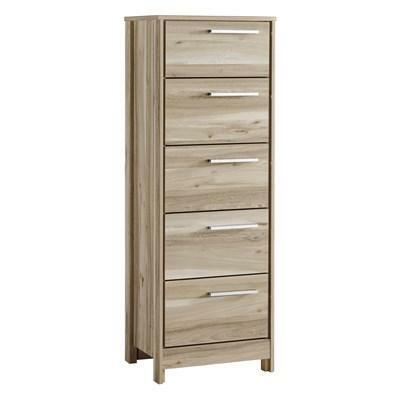 Five roomy drawers help keep your space tidy. 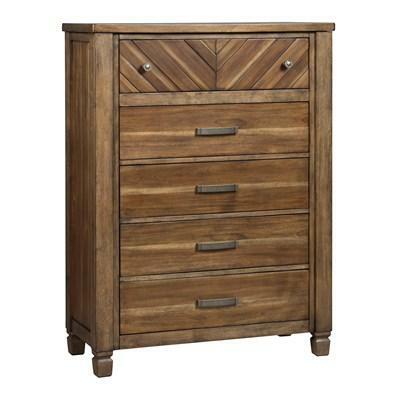 The Wystfield four drawer chest features rustic cottage styling. 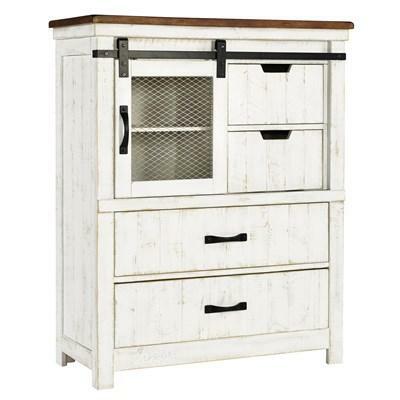 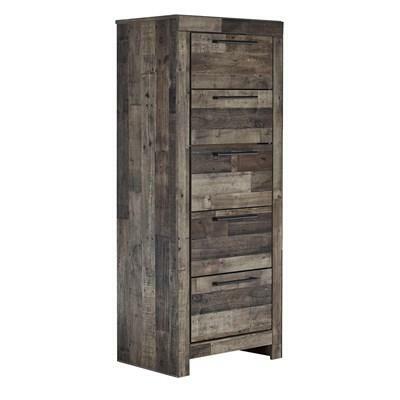 It is constructed with pine solids and veneers with a distressed vintage painted white finish contrasting with an aged natural pine color top.